#Promoting the hell out of your brand, we're a boutique Rittenhouse-based agency made up of hard working, food loving, creative influencers. Help Porsche Conshohocken Phil-a-Frunk this Thanksgiving! On Thursday, November 29, 2018, Porsche Conshohocken will be sending a 2019 Porsche Cayenne filled with nonperishable food items to “Phil-a-Frunk” at the Capital Grille in King of Prussia. In conjunction with WMMR’s Camp Out for Hunger and the Preston and Steve Show, Porsche is asking anyone and everyone to stop by their showroom and fill up the Cayenne with food items of their own. Last year, Porsche members raised a crazy 84,719 pounds of food and were the 4th largest donors for Philabundance in a three mile caravan featuring 188 Porsches and averaged 106 pounds of food per Porsche. The cool thing about this event is that anyone can attend and help out! All you need is a trunk with nonperishable foods filled to the top. The event starts at the Capital Grille in King of Prussia and goes all the way to the Preston and Steve Show Camp out For Hunger at Xfinity Live. Porsche is doing something good this holiday season and everyone who is or isn’t a Porsche owner should do the same thing. There is an increase every year of adults and children who go hungry every day in the Philadelphia area, and if you can help stop that trend then what are you waiting for? Don’t miss the chance to drop off your food items at Porsche Conshohocken before Thursday, November 29, 2018. Porsche Conshohocken is located at 1312 W. Ridge Pike, Conshohocken, PA 19428. They are open Monday-Thursday, 9 am to 8 pm. Friday from 9 am to 6 pm, and Saturday from 9 am to 5 pm. They are closed on Sunday. You can also find them on Instagram and Facebook. 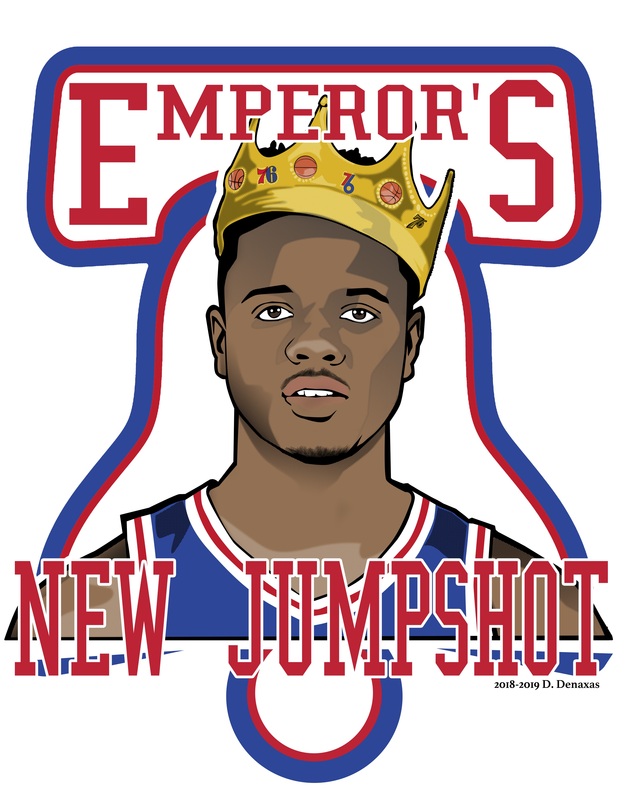 Emperors New Jump Shot, Misconduct Tavern brews up another original Sixers beer! Markelle Fultz has a new jumpshot and Misconduct Tavern and Conshohocken Brewery have a new exclusive beer. Stop by to try “Emperor’s New Jump Shot” inspired by Markelle Fultz. This pilsner style beer brewed with blond ale wheat is crisp, fresh and ready to win. Last season Misconduct Tavern and Conshohocken Brewery created “Hinkie’s Revenge” and “All About the Benjamins” and are ready for this 2018-2019 season with this exclusive new beer available only at Misconduct Tavern Rittenhouse location (1511 Locust Street) and Conshohocken Brewery. Enjoy this limited time beer with $5 drafts during any Sixers game, along with any of our new menu items this season. Misconduct Tavern is located at 1511 Locust St., and 1801 JFK Blvd. in Philadelphia, Pennsylvania. To make reservations, call 215.732.5797 (Rittenhouse Square) or 267.928.4297 (Logan Square). Misconduct Tavern is open seven days a week, 11:30 a.m. to 2 a.m. You can find them on Facebook and Instagram. Philly’s annual Wawa Welcome America Festival 2018 is back and ready to paint the city red, white and blue this July 4! This FREE multi-day festival provides guests with the ultimate guide to celebrating the fourth of July in the very city where our nation was founded. 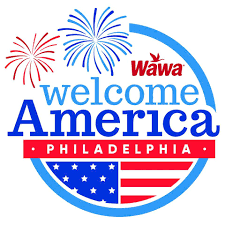 Wawa Welcome America is a city-wide festival that hosts a multitude of events such as concerts, museum days, firework displays, community events, outdoor movie screenings and block parties! This very patriotic affair is free for all ages and is entirely family friendly. This year, grammy award-winning and music icon Pitbull will turn the Benjamin Franklin Parkway upside down as the headliner of the annual July 4 concert. Some of Pitbulls chart topping hits include “Give me Everything”, “Timber” and “I Know You Want me”. In addition, Grammy winner Heather Headley and The Philly POPS BIG band will share the stage with Pitbull as they help throw the ultimate birthday party! The celebration continues throughout the night as fireworks decorate the sky above the Philadelphia Museum of Art. Sometimes a Ruff Day at the Office is a Good Thing! Celebrate National Take Your Dog To Work Day on Friday, June 22, 2018 with Destination Dogs! The restaurant will be celebrating this fun and furry day with a to-go order promotion. By ordering any dog through take out or Uber Eats, guests will receive a scratch off ticket that will reveal one of several prizes. Prizes will range from a complimentary appetizer to a $100 gift card! Quantities are limited while supplies last. Each scratch off ticket distributed is valid until September 30, 2018. The global menu of gourmet hot dogs is inspired by the chefs passion for travel. 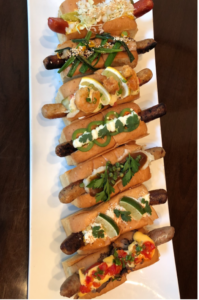 These gourmet dogs are paired with an extensive cocktail menu and an interactive game room, making Destination Dogs the perfect recipe for a night out with friends! For more information, call (267) 773-7750 or visit www.destinationdogs.com. Follow Destination Dogs on Facebook, Instagram , and Twitter. Destination Dogs is open from 11:30am to 2:00am and located at 1111 Walnut Street Philadelphia, PA 19107. The Twisted Tail, Philadelphia’s Southern-inspired bourbon house and juke joint, celebrates Easter with a decadent brunch and a rollicking evening of blues. 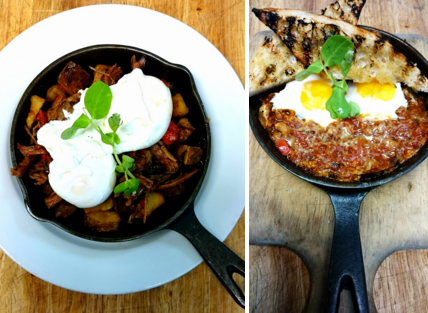 The Easter brunch menu features two special offerings: pan-seared banana French toast with foie gras, finished with a housemade cinnamon whiskey syrup and grilled thick sliced ham with shelled peas, spring onion biscuits and red-eye gravy. The Twisted Tail has also added new brunch items, including praline French toast with whipped mascarpone, pecans and maple syrup; catfish sandwich with tartar sauce, pear slaw and arugula on a baguette; brisket hash with smoked tomato jam and poached eggs; and egg cassoulet with black eyed peas, roasted tomatoes and grilled baguette. The brunch menu may be found here. Things take a shift from 5 to 10 p.m., when you can channel your inner Muddy Waters, B.B. King, or Etta James upstairs in the Juke Joint. Mikey Junior & Friends invite you to grab a guitar off the wall, take the mic and join an all-ages blues jam. Whether you fancy yourself a performer with a yearning for the spotlight or just enjoy yodeling in the shower, this weekly blues jam is a guaranteed good time. 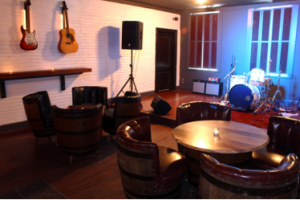 The Juke Joint hosts a spirited open blues jam every Sunday. More information on The Tail’s Juke Joint as well as the live music calendar may be found at: http://www.thetwistedtail.com/live-music/. Make this Easter a yummy and entertaining one! The Twisted Tail is located in the heart of Headhouse Square at 509 South 2nd Street in Philadelphia. For reservations, call 215.558.2471 or visit thetwistedtail.com. Be sure to follow them on Twitter [@TwistedTailPhl], Instagram [@TwistedTailPhl], and “like” them on Facebook [/TwistedTailPhl]. Complimentary Margaritas at Miles Table 3rd Birthday Party! Since 2013, Miles Table as been has been a local favorite in the Graduate Hospital area. On Tuesday, February 23, 2016, Miles Table will be celebrating their 3rd birthday and the whole neighborhood is invited for a very special Taco Tuesday birthday party. 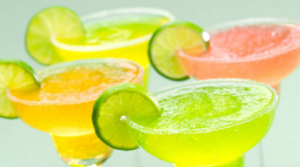 From 5 – 9 p.m., anyone who orders from the Taco Tuesday menu will receive a complimentary margarita (for participants ages 21 and over, limit one per customer)! And for dessert, homemade churros served with Mexican chocolate sauce, on the house. Stop by “where the neighborhood eats” for a birthday fiesta! Miles Table is located on 1620 South Street, Philadelphia, PA 19146 and is open seven days a week; Monday – Thursday 8 a.m. – 8:30 p.m., Friday & Saturday 8 a.m. – 9 p.m., and Sunday from 9 a.m. – 4 p.m.
Get Out of the Cold! We were almost convinced we could get through the entire winter without it dropping below 50 degrees, but that no longer seems to be the case. So, what can you do when you and the family want to get out of the house but it feels like 8 degrees outside? Try indoor mini golf at Linvilla Orchards! Linvilla Orchard’s Fore! The Planet is a highly interactive and playful museum exhibit created by the Academy of Natural Sciences in Philadelphia! 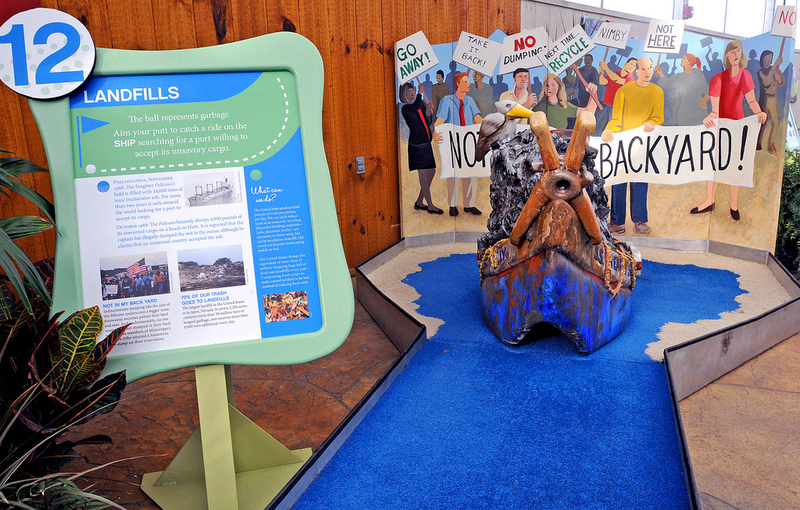 This exhibition pairs important environmental issues with the fun of miniature golf. Eighteen unique educational holes explore butterfly metamorphosis, a tropical rainforest, evolution, dinosaur extinction, food chains, and more. Perfect for kids of all ages, your entire family will enjoy playing miniature golf while learning about our environment – every step of the way. This exhibit goes until April 3, 2016 and occurs Monday- Sunday, 9 a.m.- 5 p.m. For kids 10 and under, Fore! The Planet is only $4.95- and for everyone else it’s only $6.95! You can avoid the cold, and you can avoid the bank breaking family outing and spend a fun and educational (and slightly competitive) day with the family playing indoor mini golf. 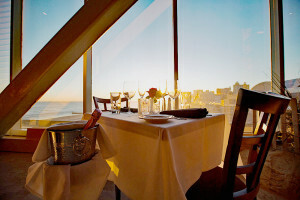 Dine above the Atlantic Ocean this New Year’s Eve. Phillips Seafood is offering oceanview tables for an unforgettable dinner on Thursday, December 31, 2015. Take a seat and enjoy expertly prepared seafood, attentive service and spectacular views. Join Phillips for an early sunset dinner, or reserve a table later in the evening to watch the fireworks display at the stroke of midnight. Treat yourself to Phillips’ fabulous New Year’s Eve special menu, or our classic à la carte menu featuring award-winning seafood. The NYE menu includes two mouthwatering appetizers: Shrimp & Lobster Spring Rolls and Mussels Oreganato. For entrées, enjoy Surf & Turf, Pistachio Crusted Halibut, or Double Cut Pork Chop. Then, finish your meal with New Jersey Blueberry Cobbler, served à la mode. Space at Phillips’ exclusive oceanview tables is limited and reservations are recommended. 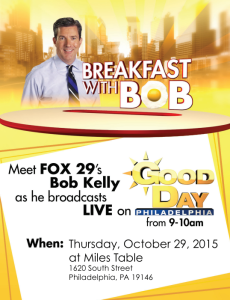 Please call 609-348-2273 to reserve your place. 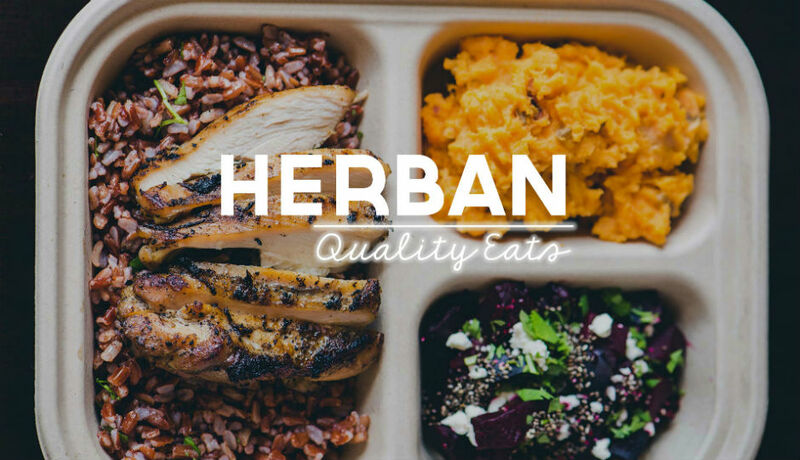 Opening Alert: Herban Quality Eats! Join Herban Quality Eats on Tuesday, December 15 as they open their doors for the first time! To celebrate the opening of University City’s newest restaurant, the first 101 guests will be treated to a free lunch! Doors open at 11:30 a.m., don’t be late! At Herban, wholesome ingredients meet bold, flavorful herbs and spices to create simple homestyle dishes. To build your homestyle platter start with a base such as Himalayan red rice, seasoned kale, or chilled whole wheat peanut noodles then add a protein: choose from grilled chicken, backyard steak, pesto salmon, or “the vegan jawn”, a mix of lentils, quinoa, and sweet potatoes baked into protein-packed balls. Next, pick a sauce to accompany your combo, from herbed tomato, walnut coriander, and Herban hot sauce. Finish off your plate by choosing two sides like roasted Brussels sprouts and quinoa ‘n cheese. Salads are also on Herban’s menu; the Montego with organic baby spinach, avocado, plantain chips, fresh pineapple, and jalapeno-lime vinaigrette and the Spruce with organic kale, feta cheese, pear, pecans, dried cranberries, and balsamic-ginger vinaigrette. Throughout December, Herban Quality Eats will be open Monday through Friday from 11 a.m. – 3 p.m. In 2016 they will extend their hours. For more information, please visit www.herbanqualityeats.com. Miles Table hosts Breakfast with Bob! Linvilla Orchards 1st Mini Golf Tournament! 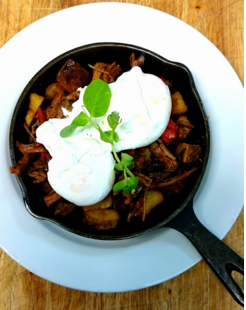 Copyright © 2019 The Breslow Buzz: PR, Food, News, Philadelphia. Powered by WordPress. Theme: Accelerate by ThemeGrill.